There are so many things we love about this cute blouse. 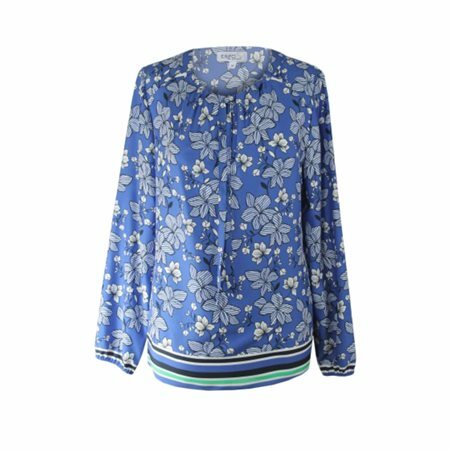 We love that this blouse has been created with soft lightweight material with elasticated cuffs, a self-tie neckline with two keyholes at either side and of course its colourful floral print throughout with a striped hem. This is a great addition to every wardrobe.